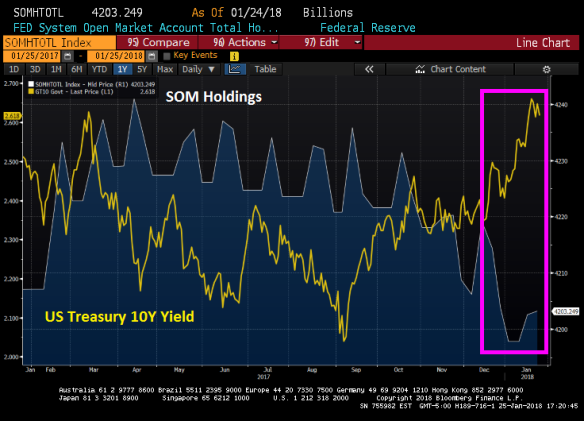 When Janet Yellen indicated, a few months back, that the Fed’s balance sheet was going to be shrinking, something must have been lost in translation. You know. From Fed English to regular English. 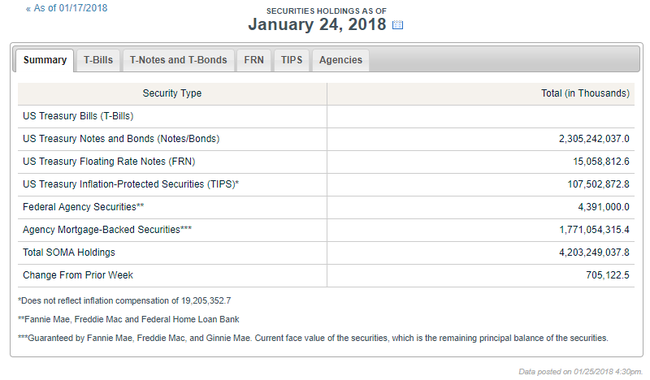 It turns out that The Fed didn’t shrink Treasury Notes and Bonds or Floating Rate Notes or TIPs or Federal Agency Securities. They DID increase Agency MBS holdings by $705 million. Year yield spike in response.